* Loose Cut or Powder? 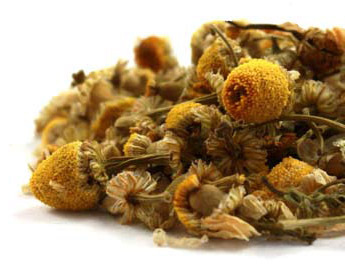 Add Chamomile to your Favourite Herbs list. Herbosophy's Chamomile is from pure Matricaria recutita Flowers and contains no fillers, preservatives or additives and is freshly encapsulated for you at order or packaged as loose powder: the choice is yours. Chamomile is traditionally considered by Herbalists to be moist and neutral and has been a popular herb in the Western Tradition for culinary, cosmetic and health use. really smells great - as soon as i opened the packet i was relaxing!!! so much nicer than any other chamomile i have tried. Thanks Jorge for your excellent service and always enjoyed the top quality of your products. I bought the powdered chamomile and it was freshly ground for me upon ordering. I like to take a spoonful in some warm water for stomach upsets along with some anise and peppermint. I also add some of the powdered chamomile into my dogs home made food too calm them down and in the event of tummy troubles. The ground chamomile was so fresh and smelt divine. I've always drunk camomile tea made from tes bags. The loose bud chamomile takes it to a sublime level. Because the boiling process destroys the essential oils in chamomile tea, it is advisable to brew the dried flowers in hot water and let it steep covered for several minutes. And be sure to drink it hot. the sun for 2 days and shake it occasionally. with intestinal trouble and diarrhea. a low heat and stir in flour to form a roux. in 350F oven until golden and bubbling. adding 1 teaspoon honey and a slice of lemon. the cooled tea and pour it over the fruit salad. Sprinkle over the chamomile petals and serve. bottle. Add chamomile, orange zest and rum. for 9 minutes, remove the meat, and set it aside. the heat, and bring the mixture to a boil. fris e, dulse, and chamomile leaves and buds. chamomile. Cook and stir without browning. butter to prevent crust from forming. Set aside. to the sauce along with the cooked turkey. adding additional half-and-half if too thick.